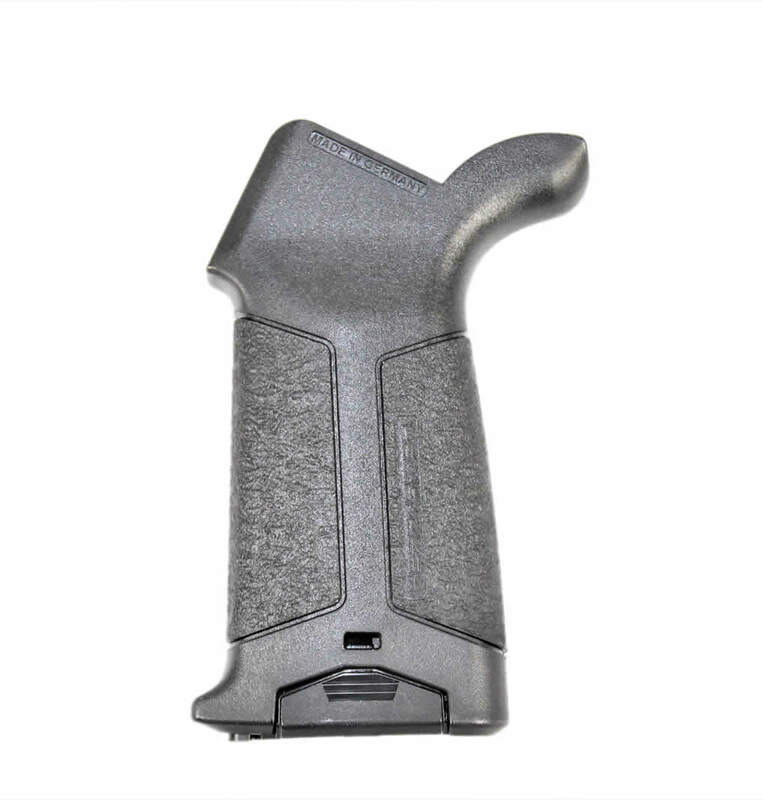 AR-15 Hera Arms pistol grip gives you a superior hold, with or without gloves. It m ounts to a an AR-15 with extreme ease. The Hera pistol grip showcases German design & engineering. Also, it features a waterproof compartment for storing whatever you need. For the price, it just may be the best pistol grip on the market! It is made from high-quality polymer for durability. Compared to a moe this is a very nice grip. Surprised at the price point its affordable It has a large storage compartment where I keep copies of nfa paperwork i love that. Its bigger than most you have a lil more room than usual. The stippling gives you tons of grip again I compare it to an moe but at half the price … the grip will fit large or small hands the way its designed choke it up towards the top for small hands and further down for larger hands. It gives me perfect trigger finger and selector placement love the design of this grip at a killer price point its hard to beat will be buying more of these grips to outfit other rifles. The price is right on it. Feels good in the hand. Has generous storage space with a secure cap. Mounts up well. The grip stipple is nice but could be a little rougher. Only reason for 4 stars is it just feels like it could be too brittle and break easily. Just a feeling. Not enough to make me not buy again. Time will tell.